Are you a graphic designer or a product designer? After I got my first graphic design job I discovered that I found making a product far more satisfying than producing artwork. As I improved my illustration skills I also learned production management and basic clothing design, being able to track the entire process of creating a product. 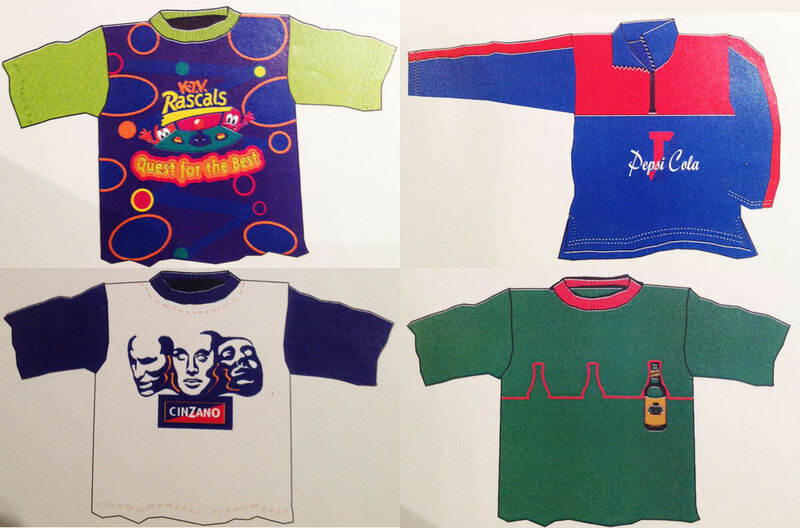 My first design job was working for a small corporate clothing agency called Creative Ideas. I designed prints and T-shirts for TV Channels, insurance companies, Pepsi-cola and many more. But I also had to oversee the entire production process from buying the fabric to monitoring the manufacturing process, to presenting the product to the client. This I found hard as a 21 year old having to instruct people twice my age on how to do their jobs to meet my growing standards. I knew enough to know I knew nothing, so I learned and my skills grew.